Dubai, UAE: HEC Paris, one of the world’s top three providers of Executive Education programs, will be present at the upcoming QS Executive Connect event in Dubai this month to promote its highly acclaimed HEC Paris Executive MBA program offered in Qatar. The event offers executives the opportunity to meet face to face with the Admission teams from some of the world’s most renowned business schools. The HEC Paris Executive MBA is a practical and intense part-time program developed to provide participants with an understanding of the social, economic and environmental aspects of international business, as well as the skills to implement their vision. Debra Lech, Head of Enrolment at HEC Paris in Qatar, will offer EMBA prospects the chance to have a 1-2-1 meeting to discuss their profile and answer questions. HEC Paris is also hosting a table at the TOP MBA Fair during the same evening; providing candidates the opportunity to find out more about the school. The event takes place on Wednesday 28 September from 5.30pm to 9.30pm at The H Hotel on Dubai’s Sheikh Zayed Road. Interested prospects can register for either a 1-2-1 meeting or for the Fair online by accessing the QS Top MBA / QS Executive Connect Dubai website. Debra can be contacted directly by email on dlech@hec-q.qf.org.qa or telephone +974 4454 0161. Specializing in management education and research, HEC Paris offers a complete and unique range of educational programs for the leaders of tomorrow: Masters programs, Summer School, MBA, PhD, Executive MBA, TRIUM Global Executive MBA, open-enrolment and custom executive education programs. 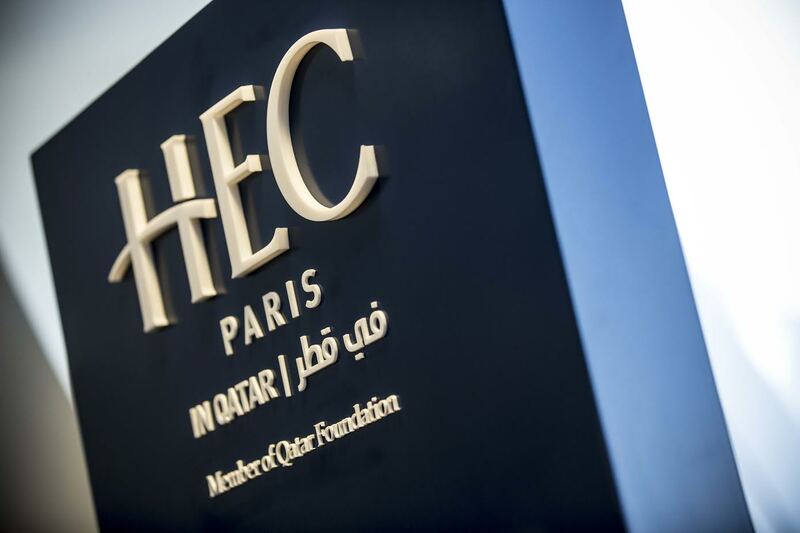 In 2010, HEC Paris joined Qatar Foundation and brought world-class Executive Education programs and research activity to Doha and the region. By 2011, HEC Paris launched Qatar’s first international EMBA. The HEC Executive MBA (EMBA) is a part-time program that provides executives with a set of fundamental skills to expand their knowledge and leadership capabilities. In addition to the EMBA, HEC Paris provides in Qatar a Specialized Master’s Degree in Strategic Business Unit Management. The institution also offers non-degree management programs for executives, in the form of open enrolment programs as well as custom-designed programs for individual companies. It has also recently introduced bespoke executive management programs for Family Owned Businesses (FOB) that are designed to meet the specific and individual needs of each client and are aimed at key decision makers, from Board level to middle management. The programs and research activities of HEC Paris in Qatar build corporate competitiveness within the global economy and are fully aligned with Qatar National Vision 2030 to support the transformation of Qatar into an advanced, competitive and knowledge-based economy. Accordingly, HEC Paris has opened a Research Office that has resulted in a number of case studies and innovative articles being published in renowned academic journals and presented at international conferences. HEC Paris is one of the world’s top 3 providers of Executive Education programs for the last 7 years.